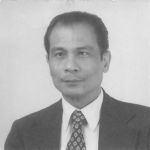 Bonifacio “Boni” Rualizo Racoma was born in San Vicente, Ilocos Sur, Philippines on Nov. 30, 1933. He died Sunday, March 3, 2019, from the complications of Parkinson’s disease. He was 85. Boni married his wife, Paz, in May 1961. They were married for 57 years. Boni came to the U.S. in 1970 and settled in the near west side of Chicago. In 1978, he passed the Illinois state bar exam and became an attorney in private practice. He practiced law in downtown Chicago until his retirement in 2003. For almost two decades, Boni was involved with the Chicago Bayanihan Lions Club—a Filipino chapter of the International Lions Club of Illinois. He was a past president and volunteered his time to raise funds for the deaf and the blind. He leaves behind his wife, Paz, his four children Donna (spouse Jeff Yore), Boni Jay Jr. (Maria Reyes), Allan (Eunice Sim) and Christian (spouse Lidia); grandchildren Joseph, Charlie, Ryan, Brandon, Christian Jr. and Amalia; and great grandchildren Gianna, Joey and Duke. Boni is preceded in death by his father and mother, Damaso and Maria, and his brother, Marcelino. In lieu of flowers, memorial donations to The Parkinson’s Foundation at parkinson.org would be appreciated. Very sorry to hear of your loss. What a wonderful and full life your Father had. I will keep him, you and your family in my prayers and hope with time your sorrow will be replaced with only the fondest of memories.